Explore luxury at Dynamix Parkwoods! Dynamix Group after developing several projects and townships in and around Mumbai and Goa has come up with residential project “Dynamix Parkwoods”. The project is launched with 2 bedroom residencies with modern amenities.The residential project is located at Ghodbunder Road, Kavesar, Thane (W), Mumbai. It is a registered project with RERA. With fine-landscaped views and all modern day amenities, Dynamix Parkwoods property in Thane is a perfect answer to everyone looking for 2BHK apartments in Mumbai. 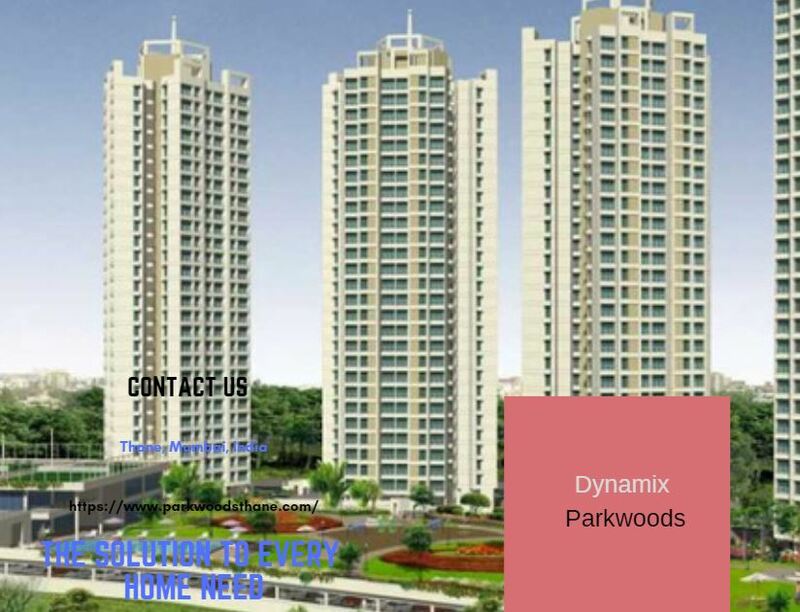 Dynamix Parkwoods Thane is one of the most sought after properties in Thane. The premium residential project in Thane has two towers with 47 storeys each. It is a ready to move property with Good construction and high quality flooring is available in all rooms. Master bedroom, balcony, toilets, living and dining rooms, and kitchen all have vitrified tiles. The project has a modular kitchen with a dishwasher; bathrooms are fitted with the geyser, concealed plumbing, and CP fittings. Being an unmatched residential opportunity Dynamix Parkwoods gives value based housing. The project offers a complete blend of comfort and luxury with amenities that includes a kids’ play area, landscaped garden, jogging track, swimming pool, gymnasium, clubhouse, sit-out zone, yoga center, tennis court, table tennis room, spa, jacuzzi, health club, and much more. The project is vaastu compliant with 24*7 security, power backup, ca parking,rainwater harvesting, and staff quarters. Dynamix Parkwoods is a place of desire to explore panoramic views, wide gardens lust with greenery and large spaces to roll on.Locality has good connectivity to shopping malls, banks and ATMs.The property is well located with the renowned schools nearby like Laurel Public School, Tree House, Dnyanpeeth Vidyalaya, Hari Om School Manpada, St. Lawrence High School, and many more. Major hospitals are also nearby such as Shree Shidhivinayek, Trupti Maternity General Hospital, Gurukrupa Hospital, Damdekar Hospital, I Care Surgical, Dr Praveen Gokhales Children’s Clinic, and Vaccination Centre all in the radius of 3 km to 5 km. 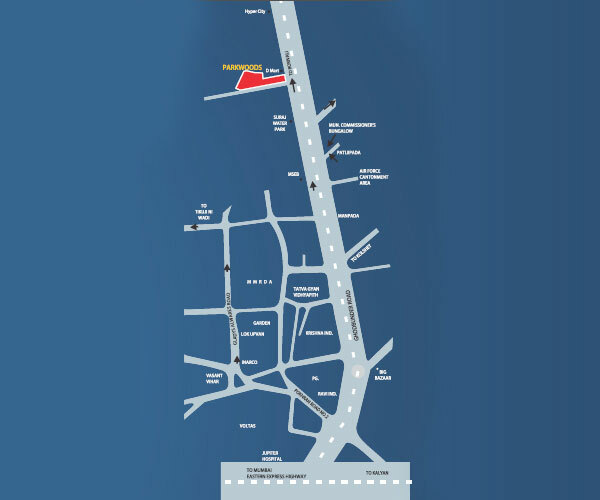 In addition, Shankar Medical & General Stores is at the distance of 3 kms. Dynamix Parkwoods price is very affordable. The project offers an excellent opportunity to own your dream home in Mumbai! 2 towers of 47 storeys each. Backup generator for emergency power. 2 basement + Stilt+ Podium+ 47 Storeys.